Shopper A: Look. This tea is on sale. Shopper B: Let’s buy it. It’s organic. Shopper A: Yes, it must be better than that one. Shopper B: That’s right, because it’s organic. What is wrong with feeding cows grain (corn, oats) instead of grass? Michael Pollen in “Omnivores Delight” put into print what followers of Alan Nation, editor of “The Stockman Grass Farmer”, and other grass-farming profits like Jo Robinson, author of “Pasture Perfect” have known for years. Cows, lamb, goats are ruminants designed to eat grass and not corn. Ruminants have a special 4-chambered stomach which is designed to break down the cellulose fiber found in grass and leaves. They can consume and in fact thrive from vegetation that other animals would hardly find palatable. Having digested a meal for the first time ruminants regurgitate it, chew it some more, and then digests it again. This is where they old expression “chewing the cud” comes from. But man, or rather corporations, in their quest for quick profits are impatient with nature. As the documentary film “The Corporation” makes clear their only interest is “the bottom line” so the morals of what they are doing are not a factor in their design. So rather than wait two years as Cliff does to grow cattle to slaughter weight—that is, to “finish them off”—90% of farmers pack them off to the misery of the confined feed lot where they are fed grain, a diet which will kill them as it lowers the pH in their stomach and eventually causes their liver to fail. The feedlot is a downward spiral of discomfort from which they are given antibiotic shots just to keep them alive. Jo Robinson in her book writes, “Most of our animals today, including cattle, are being ‘finished’ in Concentrated Animal Feeding Operations, of CAFOs—corporate owned, highly mechanized, fuel-intensive factory farms where large numbers of animals are confined in a small amount of space.” Gauchos in the pampas of Argentina--whose vast corn, soybean, and of course cattle production rivals that of the United States—believe the white colored fat of an American grain-fed cow indicates an unhealthy animal preferring their own leaner grass-finished animals. All of these concerns have been shunted aside in the decades head-long rush toward profits that is the corporate farming model. Here in rolling bucolic Rappahannock County the mountains of Cliff Miller’s 850 acre Mount Vernon loom above the village of Sperryville surrounding it on three sides. In addition to owning a forested mountain Cliff is in the enviable position of having over a hundreds acres of flat river bottom land through with the Thornton River glides having tumbled from the rapids of the Shenandoah National Park which lies just beyond the town. Cliff and his family have been farming this same land for 181 years. For generations they disked the soil, spread fertilizers, and raised orchards, livestock, and row crops. But in the 1970s this once profitable local farm, like so many across the nation, began to lose money as the model of local sustainable agriculture was cast aside in favor of much larger farms where profits could be managed only by planting thousands of acres of corn and soybeans instead of hundreds and where one needs thousands of cattle instead of dozens in order to turn a profit. So Cliff began to look around for a way to make his farm profitable so that his heirs would not have to sell it off to others would could potentially carve it up into smaller lots. Mount Vernon Farm practices what is called “management intensive grazing". This basically means Darren sets up and tears down portable electric fencing to move the cattle from one paddock to another every couple of days or more frequently. For example in one 40 acre field, 50 cattle are herded together in one small 1/3 acre moveable paddock. When Darren tears down the paddock the cattle go willingly into the next 1/3 acre enclosure which Darren puts together in about 30 minutes. What they leave behind is a sheen of cattle manure that fertilizes the field. Darren will march the animals across the pasture in this fashion all winter. Cliff says when you rotate the heard the grass is eaten in what he calls its “adolescent” stage where it is neither too young—so that grazing it would damager the plant--nor too old—in which case it could damage the cow especially if it is so-called endophyte infected fescue which is what dominates the landscape here in Virginia. The result is twofold: the cattle graze the highest quality forage and the field is fertilized with a large dose of manure which causes a flush of growth in the spring. The cattle are then moved on the next spot and the cycle repeats itself. One problem with all the boutique farms that dot the Virginia landscape is they don’t always have enough inventory on hand. This is why the big grocery stores prefer to deal with Cisco and other mega distributors who buy their meat from Midwestern cattle producers and produce from California growers. This is the biggest problem for the local food movement and proponents of local sustainable agriculture. Cliff wants to avoid these inventory problems so he is expanding into poultry and has tasked Darren with growing the herd of swine. Cliff says, “It also helps with our sales to have three different meats”. In prior years Cliff bought 65 pound piglets from a breeder in Gordonsville and finished them off here. He raised them for about 5 months and then butchered them at 180 pounds. Now he and Darren plan to breed pigs themselves and raise them year round. Pigs are profitable. Darren says old time farmers called pigs “mortgage lifters”. (Note from author: My father raised everything from cattle to tobacco to catfish and eels making money only on hogs he said.) Breeding as prolific as rabbits, pigs can have three litters per year but Darren plans to breed them twice saying it takes “3 months, 3 weeks, and 3 days” for a sow to produce a litter. The pigs here are working animals. Darren explains that, “Every animal on the farm has a job”. The pig’s job is to reclaim the 4 acres of vines and weeds where they are currently living and turn it into pasture. With their firm snout and keen sense of smell pigs root in the dirt turning it over as they look for grubs. Cliff says, “They not only eat grass, like a goat they will east honey suckle, poison ivy, and everything else, which is what we have them doing which is denude the soil.” When they finish cleaning out this area Darren will move them to another and turn their pen into pasture. I went to Gene Adam’s slaughterhouse early one morning this week to talk to Gene Adams about his business and watch him slaughter a cow. The state inspector Sean O’Brien and I ducked behind a door as Gene dispatched the first animal with a .22 rifle. I was worried that the bullet might ricochet. Mr. Brien told me he was crouching there, “Just in case”. In the next room Gene’s mother Shirley and his brother David were grounding up patties while his Uncle Warren was sawing a carcass into t-bones. It took Gene and his assistant Ernie Holbrook only 35 minutes to slaughter and clean a Charolais Angus crossbred steer and move it into the cooler where the carcass would hang for 10 to 14 days for aging. Mr. O’Brien, moving with the deliberate speed of a government employee, poked his knife blade into the cows liver and lungs checking for any discoloration which might indicate an unhealthy animal. He was also on hand to make sure that the animal was handled humanely and killed without pain. Ernie cleaned up the offal which would be shipped off to Valley Proteins to make dog and cat food, oil for biodiesel, and leather for which they pay $10 per hide. Gene feeds about 80 cattle per year himself and slaughters many more buying cows and pigs from area farmers and both local livestock auctions: Front Royal and Marshall. He buys grain-finished cattle from Dale Welch who formerly managed the Fauquier Livestock Exchange and he buys hogs and cattle from Lindsay Eastham who is the current manager of that exchange. Gene says there is “strong demand” in Rappahannock County for his beef and pork yet he only wholesales his meats at two area stores which are not much more than gasoline stations: Mayhugh’s and Settle’s Garage. Gene’s retail customers drive all the way from Richmond and from across I-95 to his on-site meat market which has no web site, is only open on Saturday’s, and is so far back in the woods you need to know where it is before you go looking for it. Gene is sort of a burley country fellow who looked askance at this arm-chair intellectual carrying a camera and digital voice recorder when he gave me a tour of his facility. Gene looks a little like a Black Angus bull standing there in the cooler with his dark hair and steely black eyes without a hint of a smile as I snapped his picture. Perhaps he has taken on the countenance of the big creatures that he faces down each day. One of Gene’s customers who I managed to track down is Chancellor’s Rock Farm. They told me they give their meat to charity. Let me repeat that: they GIVE IT AWAY. This is hardly the model of sustainable agriculture about which people in the local conservation movement are talking. The environmentalists here worry that the county will turn into one large country club where people keep cattle simply as a way to lower their real estate taxes. I phoned up Kenner Love of the Agricultural Extension Service. I told Kenner that I had gone to Gene’s slaughterhouse but had not come away with a story of any local cattle producer who was having Gene slaughter his beef then retailing their meat at Marshall’s IGA Grocer (they carry products from lots of local farms) or area farmers markets. This is the whole vision of what community based food systems are all about and what Kenner spends so much time trying to champion. Several folks have told me that raising cattle is hardly profitable. Gene sells sides of beef--slaughtered, wrapped, and packed--for about $2.35 per pound. He is currently paying about $0.95 per pound for finished cattle. (Five months ago the price paid to the farmer was $1.20 per pound). This is called “hoof weight”. That would mean a 1,110 pound grain-finished steer would bring $1,045 if the farmer sold the whole animal or $912 for the 645 pounds of meat produced by the carcass of an animal of this size. So it might be profitable on a cash-flow basis but with corn, taxes, fuel, that sort of thing there is not much if any income for the farmer. His packaged pork and beef patties are much less expensive than what you would find in the grocery store. His current price for ground beef is $3.99 per pound and pork sausage is $2.99 per pound. Farms that sell livestock for breeding stock instead of for meat are not contributing to local sustainable agriculture if you measure that by the amount food that they produce themselves. Two other farmers I have talked to recently have found selling breeding stock more profitable. That is true with Steve Shippa, who is the largest goat producer I know, and Alan Zuschlag who retails lamb and sells breeding stock from his Touchstone Farm. While both of these guys say they make profits selling meat to consumers (Alan) or wholesalers (Steve) they suggest more money is to be made selling breeding stock. I find this highly frustrating as I look about for ways to make my goat operation profitable. The lack of profitability in the livestock business is exactly why Gene’s family started this slaughterhouse in 1994. Gene’s family had a 1,600 acre cattle farm but “lost it” he says over the years to a subdivision covered in houses. Of course Gene and his family have figured out how to make a living raising cows but not every farm can set up a slaughter house. There are a lot of rules and regulations around that and of course you need a government inspector on the premise, gratis of course, paid for by the US taxpayer. 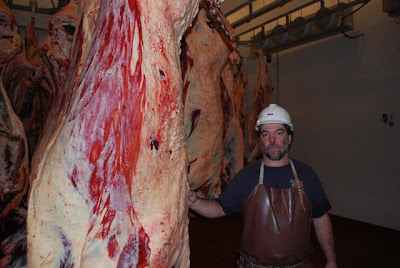 There are two other slaughter houses in the area: Faquier’s Finest and Blue Ridge Meats. They do cater to farmers who wish to resell under their own label even producing halaal meats. (Halaal is to Muslims what kosher is to Jews.). Of course packaging meat for others to sell is not Gene’s business model and for him business is good. Definition: To "finish" a cow means to grow it to slaughter weight. Most cattle are grazed on pasture grass until they are sold at auction as "feeder" cows at around 700 pounds of weight. Then they are fed a grain diet which causes them to gain about 5 pounds per weight until they are slaughtered at around 1,100 pounds at which point they become "slaughter" cattle. A "grass fed" beef is one that has only been fed pasture forage. People who attack logging as being unfriendly to the environment have no idea what they are talking about. The unenlightened believe to “clear cut” a tract of timber is morally equivalent to committing a crime. The land will be defoliated, they say, the soil will erode into the watershed. The trees which wick up the CO2 we exhale will be replaced by a barren and scarred landscape. Even Wendell Berry, the poet who writes philosophically about farming, attacks clear cutting in one short sentence in “The Unsettling of America”. He does so without explaining what clear cutting means, simply tossing out those two menacing words “clear” and “cut” as if that were enough to convey his message of evil run amok. For the shallower thinker those two words would be enough because they are so firmly etched into our psyche that they need no elaboration. But when I asked the Virginia Department of Forestry to survey my farm, clear cutting is exactly what they recommended. That will probably surprise the laymen but it makes for the best possible forest. Bill Twarkin is as humble and honest a fellow as you are likely to ever meet. He hails from Upstate New York and has felled timber in the Pacific Northwest, Colorado, and most recently in Madison County, Virginia and on my farm. My consulting forester, Kevin Lyle, had surveyed the timber and put out a request for bids but no one had even placed a bid finding my forest of rather low quality. The bigger local loggers were busy felling trees at The Marriott Ranch and the 8,500 acre Lane farm in Woodville. So Kevin talked to local lumber mill operators and they recommended Bill. Bill owns his own logging equipment: a John Deere bulldozer and a single axle logging truck complete with a hydraulic lift and boom. Like the average working class fellow none of this was paid for in full so Bill owed the bank money on both. His equipment now sits for sale at a local trucking company Bill having completed the job and deciding that logging is no longer profitable for him. He says his 1995 model bulldozer is worth perhaps $35,000. I am not sure what the value of his logging truck is. The problem with it is its one axle design. Bill got pulled over by the cops last spring and given a ticket for $5,000 when his rig was found to be many tons overweight. To haul such a heavy cargo as logs one needs multiple axles to distribute the load and satisfied the policeman’s truck scale when it measures the weight on each tire. Bill started working on my farm in the fall on 2007 and fell the last tree in the summer of 2008. He had worked for almost 9 months logging the property but it was not a continuous ordeal. He designed his schedule to get two loads per week hauled to the lumber Augusta Lumber mill near Amissville by Wednesday because that is when they made their tally for the week and cut their checks . Bill’s wife had a government job in Washington, D.C. and this was the reason he and his rig had relocated from New York State. She took lots of vacation time and Bill went with her. Some times it was too wet to log. Other days Bill had mechanical trouble. He needed to replace the water pump on his dozer once and more than one time his truck needed new brakes or to repair a hydraulic line. And when he got the ticket for being overweight he just sat home and fumed at Kevin the consulting logger because Kevin had talked Bill into taking one load to another mill which required him to travel along the busy highway 29. That is where he got pulled over. I am sure Bill lost money logging my farm. When you consider what he paid for diesel fuel and repairs on his rig and the long commute he had from Fairfax, Virginia I doubt whether his income exceeded his expenses. Rather than log the property on a contract price we logged it on shares. I took half and Bill took half with a 10% commission paid to the consulting logger Kevin Kyle. Each week Bill hauled about two loads of logs to the mill. His truck held about 4,000 board feet of timber which was from anywhere from 45 to 65 logs depending of course on their diameter. The mill paid an average of maybe $330 dollars per thousand board feet. This meant each truck load was worth about $1,000 of which Bill collected $500 and I collected $500 of which $50 went to Kevin. In total I made about $20,000. This was far below what Kevin had estimated but I was pleased anyway since I used the money to pay off some debts and to buy a new tractor. So in my mind this agriculture sale went to fund future agricultural endeavors on my farm. For Bill I am certain had a net income loss. He certainly complained a lot about losing money but that was part of his personality. He said his logging business was a hedge against the taxable income of his wife. If this agricultural endeavor had been like most he would have had some positive cash flow but no net income. But when you add in the depreciation on his equipment and his costs for fuel I am sure it was a loss. For me there was a certain satisfaction is having my property logged. Obviously I had wanted the money but that was not the only reason for logging my stand. Twice over the past 15 years I had had the state forester come out and make a recommendation on my property. They divided it into four sections. The western-facing top of the ridge was 6 acres of chestnut oak averaging 85 years of age. They recommended leaving this section in tact since it had little commercial value and would be difficult to log the steep terrain. The bottom of the farm included 6 acres of forest between two pastures. This area had formerly been pasture so was a fairly young stand of fairly young trees also of undesirable quality. I paid Bill to bulldoze that flat so make additional pasture for my goats. The remaining 45 acres of forestlands included 20 acres of large poplar trees that had not been logged in at least 80 years the rest of the property having been logged about 20 years ago. When the former owners of the property logged the property they cherry-picked the forest taking the largest trees and leaving the less desirable ones. This is called “high grading” and was the reason why my timber stand was of less that optimal quality. But they had passed over about 15 acres of large poplar trees mainly because cattle had foraged there. The highest quality trees are those that can be used to produce veneer. Veneer is what is used to make the highest quality furniture. I had no veneer quality timber on my farm. Rather I had saw timber quality and pulp wood. No one wanted the pulp wood so we told Bill just to take the saw timber. The lumber mill too makes demands upon the logger. They would grudgingly take hickory would but told Bill not to take send over any red maple. The consulting forestor told me that Virginia is the southern most range of the red maple. That tree needs cold weather so it produces better logs in Vermont and New Hampshire. You can see that for yourself if you look at the red maple here. Many of the trees are badly knotted, twisted, and grow rather crooked. Most of the trees Bill hauled from my farm were poplar followed by black, white, and chestnut oak. There were a couple of black walnut and cherry trees. Walnut is the most valuable of hardwoods and so is cherry. White oak is used to make wine barrels. There is a stave mill in Culpeper, Ramoneda Brothers, who does exactly that. But most oak is used to make flooring and of course furniture. Poplar trees grow straight and true here but their lumber is mainly used to make pallets and not furniture. Further it is not suitable for a load bearing beam as would be a heavy piece of oak. Hickory is used of course to make ax handles. All those giant hickory trees on my farm sadly did not have much commercial value. The lumber mill did not want at all sycamore trees, known for their white bark. They tend to grow along streams so have lots of water content. I cut one down myself and when I tried to split a log with an axe the axe simplybounced off as if the log was rubber. Are you beginning to see why my 45 acres of timber was not too valuable? When you log a property you have to follow the forest service rules. Several times inspectors came by to make sure that Bill was not fouling the streams and to make sure that he constructed swales so that water would not run down hill digging a furrow into the mountainside and causing soil erosion. Bill put in temporary bridges which he hauled away when done. He also refrained from logging along the edge of streams. Mike Santucci was the area forester for my region when I made the second timber survey. He is well-known to area environmentalists and farmers who frequent meetings on timber land, watersheds, organic farming, and so forth because Mike is usually there. He wrote the plan for my farm that called for clear cutting the forest. But the problem was I could find no logger willing to fell the smaller trees. To clear cut does not mean you chop every log off down to the ground. In such a mountainous terrain as my farm that would be impossible. Rather you cut down everything 4 inches and larger. Only 15 inch diameter logs can be hauled to the mill. So the other trees would be left there to rot while new trees take their place. Mike’s plan also called for something called “crop tree release”. This means when the crown of two trees are touching you fell one thus leaving the more desirable species. So if a red maple is crowding a white oak you cut down the red maple leaving room for the oak to crow, dominate the canopy, and shade out any trees that would complete for water and nutrients there. Mike also called for planting loblolly and white pine in certain areas in order to improve the diversity of trees for wildlife and future timber sales. The state of Virginia subsidizes the planting of pine forests by paying part of the cost. All of these practices were meant to enhance the future forest. If I had been able to find someone to do a proper clear cut then sunlight would have reached the forest floor and the small saplings and poles there would be able to grow into desirable forest. As it stands now, from the distance you cannot even tell that my forest has been logged even though it was logged quite heavily in some areas. You have to actually climb up into the forest and look around to find where trees were felled. The canopy overhead it still covered with shade because all of the many young trees here are 15 to 20 feet tall and reaching for the sky. And since the forest was once again high graded crooked maples, hickories, and lesser quality chestnut oak dominate the forest. In 40 years the forest could be logged again but it would be yet another low grade timber sale. It would have been better to follow the recommendations of the state forester to produce a high quality stand of poplar, white and black oak, and white and loblolly pine. My forest is covered now with the tree tops I tried to give this away as firewood and finally found a green house operator who is hauling this away and cutting it up as fuel to fire his boilers. As for my forest I need to spray Garlon on the alanthus trees that have and will spring up in the areas of disturbed soil. This is an exotic invasive species that grows along most of the roadsides here in Rappahannock County where power lines and fencing have disturbed the soil. The citizens of Rappahannock County have protested in the past when landowners have announced plans to clear cut their property. Fortunately no permit is required for logging so we don't have to explain what we are doing to people who would not listen anyway. If anyone wants to see what a logged forest looks like I will be glad to show them mine. They will be surprised to see that logged or not the forest pretty much tooks the same. Only a trained observer can tell the difference. This morning it was 21 degrees. I need to wait for a few more weeks of cold weather before I start the winter vineyard pruning. I have to prune 120 vines at Rosewood Hill Vineyard, 330 vines at Castleton Lakes Vineyard, and then I am going to help Bill Gadino prune several thousand vines at Gadino Cellars. So today I am looking back to when I planted Rosewood Hill vineyard almost 7 years ago. Last weekend two friends came to the farm to help me plant grape vines. I had carefully planned to plant grape vines one weekend, walnut trees the weekend after that, and then Leyland cypress trees on the third weekend. But my carefully laid out plans were waylaid when UPS brought both the Walnut trees and the grape vines at the same time. There was no way I had time to get both planted so I took all the food out of my refrigerator and crammed 50 walnut trees inside. My girlfriend at the time took a photograph because she considered that such an odd site. The idea was I would start with a small hobby vineyard and then when I got some experience plant a commercial one. I have since learned that I can make more money farming wine grapes for someone else. 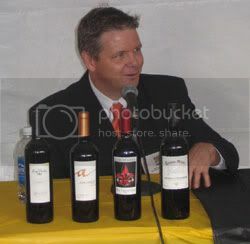 Large vineyards and small wineries are profitable but a small vineyard usually is not. In Virginia the rule-of-thumb is you need to plant 25 acres to have a profitable vineyard. For that you would need probably 10 employees and maybe a $500K investment. My 65 acre farm has a couple of sites well-suited to growing grapes. Here in Virginia where it gets cold in winter the idea is to plant your vines on a slope above the late frosts of spring or the early frosts of fall. An early fall frost kills the leaves, which stops the grapes from ripening and a late frost in spring kills buds which have just begun to grow thus cutting in half or maybe more thar year’s yield of grapes. The top part of my farm rises to 1,000 feet while at the bottom it is 565 feet elevation. I am grateful to Steve Critzer who talked me out of clearing off a vineyard site high up on the mountain where I had planned a commercial vineyard. He had already brought his bulldozer to the farm when we cancelled this job. The 15 degree slope up there would have been financially ruinous to work not to mention dangerous in the case of a tractor rollover. There are so many rocks up there I would have had to haul dirt up from the bottom or from construction sites. And in a drought vineyards need water, especially young vineyards. To have piped water up that hill would have cost thousands. And a vineyard surrounded by several thousand acres of uninhabited forest would have been devastated by deer, turkey, bear, birds, raccoon, in short every kind of predator. 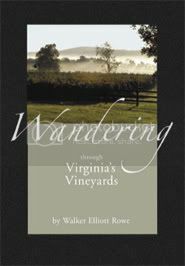 It would have been better to place such a vineyard in a frost pocket in some suburb in Fauquier County surrounded by a monoculture of pasture grass and cul-de-sac neighborhoods. Any farm is an ongoing operation which each year requires some capital improvements. At that time I had neither tractor nor auger so the only way to plant these vines was by hand. The soil in Virginia is not like other parts of the nation—here it is hard as a rock. When I augur fence posts with my tractor I wait until it rains because even with diesel power the posts won’t go into the ground. So I dreaded the idea of digging 140 holes for grapevines by hand, so I did what Tow Sawyer would have done: I enlisted help. In California you can order live plants to plant in your vineyard but here in Virginia we order dormant root stock from nurseries in California or New York. These are grown for a season in a vineyard there and then grafted and tossed in the refrigerator for the winter. Then you take them out in the spring and plant them. The nursery starts by taking a dormant shoot from a native American grapevine, sticks that in the ground, and then it sprouts roots. This forms the bottom part of the new grape vine. Then they take a dormant bud from a European variety like chardonnay and graft that onto the American roots. Together this is called a “rootstock”. The idea is the bottom part of the plant is native to North America so it can withstand the attack of phyloxxera ad nematodes that would otherwise eat the roots causing the vine to die. Also you can obtain rootstock which tolerates high levels of sodium in the soil (as in parts of California) or rootstock which grows slowly so that your vine grows slowly developing a proper balance of fruit and foliage instead of some overgrown jungle canopy which takes much work to wrestle under control. The grafted rootstock arrived in a UPS-delivered box from American and Lake County Grapevine Nursery. The owner, Joachim Hollerith. lives most of the year here in Madison County and had been for many years the vineyard manager at Prince Michel Vineyards. The graft union was dipped in paraffin wax so that it would not dry out and the whole affair was packed in damp saw dust. The vines I had selected to plant were cabernet franc on 3309 rootstock, traminette on 3309, and viognier on 101-14. I didn’t know much about rootstock at the time so Joachim picked them for me. I had picked cabernet franc because it does well here in Virginia requiring less sunshine and heat to ripen that other red grape varieties. Viognier is the white wine grape having brought Virginia international recognition when Chrysalis Vineyards won the San Diego wine show and when a noted Napa Valley restaurant run by a former White House sommelier carried Horton’s 1993 viognier proclaiming it the best he had every had. Traminette I planted because I liked its European cousin the perfumed, highly aromatic gewürztraminer, but gewürztraminer does not do well in the heavy, humidity, and heavy rains of Virginia. The way you plant grape vines is you dig a hole about 2 feet deep taking care to dig out all the rocks and then you position the plant where the graft union is a few inches above the soil. 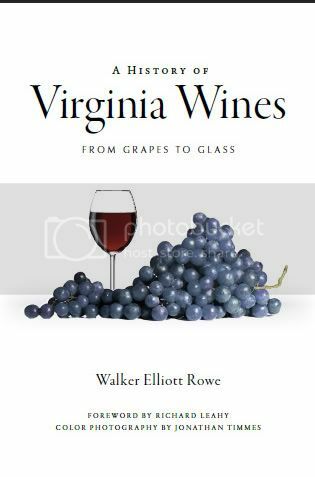 One hapless farmer in Virginia had planted his vines too low and when the soil settled the vines sank to the level of the dirt. When that happens the top part of the vine, called the “scion”, sprouted roots thus bypassing the American rootstock. His vineyard was thus subject to destruction from root-eating pests. The vines I planted already had had their roots neatly trimmed with scissors so I didn’t need to do that. You don’t want to cram too many roots into one small spot. I takes much labor to plant 120 grape vines in one day especially when you are doing this by hand. I should have hired some hard-working migrant workers to help me but I resolved to do this work myself. So my friend Paul and I dug holes all day long while my girlfriend passed us vines while Paul’s 3 year old son played around the newly-erected trellises. Paul was overweight while I was merely out of shape. He worked as hard or harder than me in the heat and I worried he would fall over with a heart attack. Some holes were fairly easy to dig while in others we found rock or even hard-pan (i.e. impenetrable subsoil) that I hacked at with a heavy pike. We planted 105 vines in one day leaving me 15 to plant the next. I tossed them into the refrigerator with the walnut trees and reviewed my vineyard budget. If you look at my actual expenses (graphic at the top of this posting, click on it so you can easily read it) for the first two year of my vineyard—not including the winemaking equipment I bought---you can get an idea of what is in store for you were you to decide to plant your own vines. I spent $3,500 not including the chemicals I bought to spray the vineyard, the lime, the fertilizer, and other stuff I did not include in my budget. If you are a hobbyist contemplating a backyard vineyard I would say, “Don’t do it”. 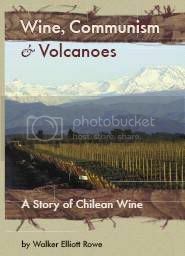 My work was the result of many years of going to seminars, working at vineyards in Virginia and Chile, and studying books. I took the pesticide applicator certification test and spent countless hours pouring over the labels of pesticides and fungicides. You cannot plant wine-quality grapes and forget about them. Every in agricultural paradises like Chile or California that are free of mildew-inducing rain you still have to worry about maladies like botrytis and sour rot. This is why you must spray grape vines constantly. Even organic vineyards do this. Because if you don’t your fruit will rot and the vines defoliate. More than disease there is the problems of the aforementioned pests. Twice I have lost most of my vineyard to raccoon that I have trapped and killed by the dozen and birds which of course are protected by law. About the only thing I don’t have to worry about is nosy neighbors eating my fruit because the nearest is a couple of hundred yards away. Looking at some of my purchases the first year you can see that I started with the most fundamental: grape vines. These were $2.95 apiece while currently ENTAV certified vines cost $3.95. 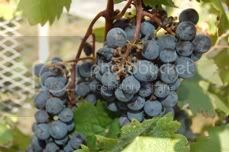 You need to buy grape vines from a reputable nursery because you don’t want them to arrive already infected with leaf roll virus or other problems. If you plan to put in a vineyard plan on buying lots of trellis wire and pressure-treated posts. Take my advice and invest in a wire jenny. You use this to hold the wire so you can unroll it in an orderly fashion. When I cut the bands from the first of these very heavy rolls of wire it opened up line an accordion and tangled. I spent countless hours cursing as I untangled this mess one misery foot at a time. Had I to do it all over again I would have tossed out that wire and simply bought the wire jenny. But even the landfill would not take this wire saying it would foul their equipment. Any vineyard in Virginia is going to need a deer exclusion fence of some kind. I started with an electric one with 3 zinc ground wires and a $105 electric solar powered charger. Put an electric fence requires constant maintenance. Now that I am farming goats maintenance is no problem. At the time I got rid of the electric fence after a couple of years because I got frustrated that the fence kept shorting out. I replaced it with a $400 plastic deer exclusion fence which works much better. Vineyards in New Zealand put up bird netting because they have such a huge bird problem. In Virginia large vineyards just sacrifice part of their fruit to the birds or put up noise makers or balloons that look like an enormous eye. I bought $385 worth of bird netting which is still working after 5 years. I read an account of one grape grower who says he and his wife almost divorce each other every year as they install and take down the bird netting. Putting it up is tough enough. But taking it down is worse because the vines will have grown into the netting somewhat when you take them off. Veritas Vineyards uses netting which they install by tractor only in the fruit zone. But for a small vineyard you need to enclose the whole canopy as those greedy little starlings will push their way into any small hole. I also bought a German-built gasoline-powered backpack sprayer. In Germany vineyards are planted on steep slopes of riverbanks to avoid frost. It’s too steep to operate a tractor there. I still use this $814 machine but need a tractor mounted new one because I am planning to plant 3,200 vines at Castleton Lake Vineyards and certainly cannot spray those on foot. The rest of the items listed below are other equipment needed to build the trellis and prune the vines. I have not included the cost of any fertilizer but in the acidic soils of Virginia you always want to start with putting down limestone and getting a soil report. You can read details about the soil report here. The sun is coming up here now on this frosty morning so I have to go outside and break the ice from the goats watering pale and give them a bale of hay to eat. I am driving off the farm today so I won’t turn them loose into the forest. Fortunately they have not bothered the vineyard yet but I have thought that setting sheep lose there would be a good idea to keep the weeds and grass under control under the vines. You can’t do that with goats because they will stand on their hind legs to devour anything they can reach. Alan Zuschlag, owner of Touchstone Farm in Rappahannock County, doesn’t specifically target kabob-eating, halaal-consuming immigrant customers for his grass-fed lamb saying, “Most of my customers are yuppies from the D.C. metro area, double income sort of gourmet type people.” Urban yuppie is the sort of person Alan was himself before he rolled up his sleeves and turned his weekend retreat into a working sheep farm. He says before he got into farming sheep, “[All] I wanted was a nice lawn that I wouldn’t have to mow.” His initial “lawn” of 25 acres has blossomed into a 108 acre farm that he purchased in sections from his neighbors and carved from a tangle of brambles, vines, and assorted brush that he brush hogged back to civility, fenced, and then grazed. Alan says, “I had 25 acres and this was going to be a weekend place. I had no intention to farm at all.” But Alan is not the sort of fellow to sit idly around gazing at this rolling pastoral vista of fields and forest. In addition to serving on the board of directors of a local environmental group he is brimming with ideas for how to grow his farm and local sustainable farming in general by creating cooperatives of farmers and getting others to raise sheep. His business is such that he has grown from a one man operation to having recently hired a farm manager Jeremy Christopher who is well-know to area farmers having formerly worked at the Rappahannock Farmers Cooperative. Alan makes money from his sheep farm selling breeding stock to farmers from as far away as Canada and selling frozen, packaged portions of lamb to buyers in Northern Virginia and Washington, D.C. He explains, “I sell to anyone who wants to try it. We sell whole and half lambs cut to their specifications.” Taking orders by web site, telephone, and returning customers he arranges processing of the animals at the slaughterhouse and pick up on the farm or delivery to the customers. You can see this as you stand on the gravel driveway above one of the pastures where the ewes (females) are fenced in a square area guarded by a loud and somewhat pushy donkey. The grass to their left is several inches taller that the grass in the paddock on the right. When they graze this down Alan moves them to the next paddock rotating the whole affair through the grazing season and winter until they end up next to the barn when they are ready for lambing (i.e. giving birth to the little ones). Always thinking of ways to grow and improve his business Alan says he is ready to give up on delivery lamb to his customers and have them come to him instead. He says, “There is an organic market in Alexandria, for example, which wants me to have a drop off point there. It works for them because it gets customers into their shop. What we are looking to do is to have a place like Sunnyside Farms or E-Cow [local grocer] have the customer come in and pick it up there. Sunnyside is interested. Our customer can pick up their lamb while they are there.” Echoing Kenner Love, the local Department of Agriculture cooperative extension agent, Alan says the county needs a place for farmers to store their meat and produce for sale. If the county had that he says, “We would be all over that.” Industrial freezer space is USDA regulated and a significant cost for small farmers. Cliff Miller of Mount Vernon Farms, another local sheep farmer, has that, but his business is different. He sells individual cuts of lamb instead of whole, half, or quarter sections. Turning to chase after a skunk who is threatening his penned-up chickens Alan says, “I am an economist by training and I do I cost/benefit analyst of everything. And basically this farm is run in a way that input costs are as low as possible. We retail directly to the end customer. It is the only way you can make any money. The farm pays for itself. I have to prime the pump by buying additional land but any farm improvements come out of the farm checking account. So any new fencing that comes out of farm profits. The farm pays for everything.” It’s a model that appears to be working for this thriving little business. If anyone sells you a so-called “free range chicken” don’t believe them. Animal activists and organic farmers have spread the notion that it is cruel to cage birds. They say chickens should be free to roam and scratch cow pies turning them over and dining on the windfall of insects found therein. It is cruel to confine thousands of chickens in one industrial setting where they lay eggs onto conveyors and their manure is ferried out to waiting lagoons by rotating belt. Visit a chicken farm so described and the stench is horrible because all of the nitrogen in that manure ammonia gas escapes in volumes enough to make you run for the door. It’s the same with turkeys. 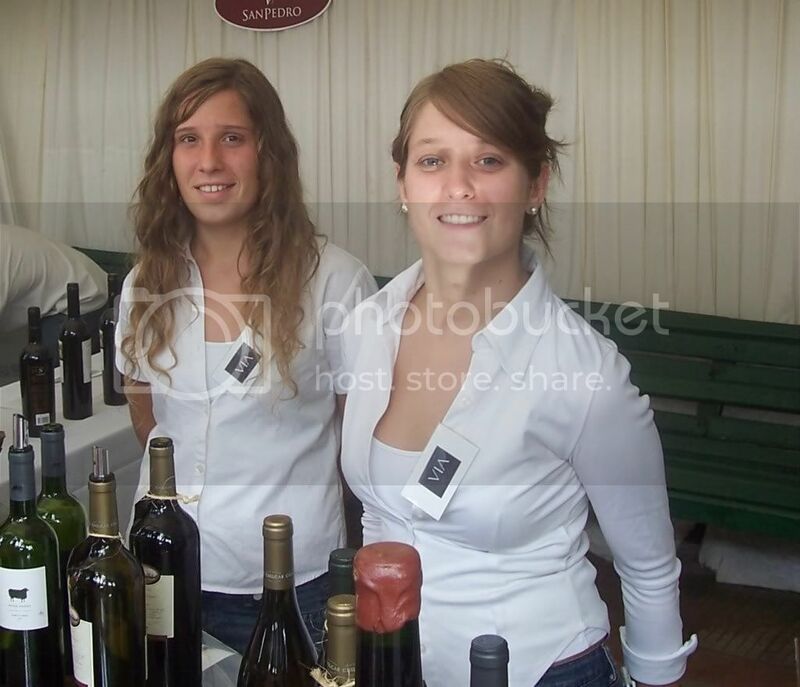 I once worked at Berry Hill vineyard farming wine grapes. This 40 acre vineyard was placed on the side of one of the few high ridges in Orange County, Virginia. The hill’s one redeeming feature was its height so the state police put a tower there for their radios and Horton Vineyards planted a vineyard there high above the frost. The owner of this property also placed a confined turkey feeding operation high above his neighbors so the nauseating stench would not bother anyone, except of course the birds who have little to say in this matter. Think about this next time you carve into that Butterball breast for Thanksgiving turkey. It was with visions of free range chickens wandering my pastures and gardens eating insects and scratching at the ground that I bought my first 40 chicks from McMurray Hatchery. Chickens, like honey bees which I also bought, arrive by the mails. I believe I paid $4 postage to the postman who probably burned up $6 for fuel driving up to my house to deliver the young birds. “Peep, peep, peep”, they make this delightful little sound as they stand there neatly aligned in little rows of downy feathers. They look like tennis balls with legs except they are much smaller. When chicks arrive you are supposed to keep them warm. The rule of thumb is to keep them in 95 degree heat by hanging a heat lamp over their bedding reducing the temperature a few degrees every week until they are ready to move outside. If the chicks stand to far away from the heat lamp it is too hot. If they huddle underneath it is too cold. McMurray Hatchery promised me an assortment of laying hens and meat birds. I had chicks that in 10 months or so would be laying white, brown, and even blue colored eggs. Or so goes the theory. Tossed into the mix was an assortment of what they called “meat birds”. These were Cornish and White Rocks hens. All of my new chickens were females. Out in the pasture meanwhile I had had 4 hens and 1 rooster that had been laying eggs for some time. These chickens I had gotten from Pearmund Cellars. Chris Pearmund had moved off the property to a newly-built house so no one was taking care of them so he said I could take all 5 and a couple of bags of food too. So one morning before daylight I snuck into the hen house and plucked the hens from their roost and tossed them into pillow cases. I had read that this was the easiest way to capture chickens—i.e., get them while they are sleeping so I bundled them off blindfolded as it were like some kidnapping victims ala Secuestro Express. They clucked quietly inside the pillows as if this is something that happened every day. I was not completely new to chickens because my father had had them on his 500 acre farm when I was a boy and his second wife’s parents had them too. But I only spent the summer with my dad and his new bride so responsibility for the taking care of the chickens rest with someone else, certainly not me. I think two of the sharecropper’s sons who lived on the farm took care of our flock because I don’t recall my dad doing the same. So I was a debutante chicken farmer and consulted a book. My son loved playing with the 5 chickens that I spirited away from Pearmund Cellars. He did what we called “chicken tipping” whose name we borrowed from the sport called “cow tipping” which is what I imagine they do in places like Kansas where tipping over sleeping cows is the only game in town. The thing about chickens is no matter how you rotate them they keep their head pointed straight up. There have sort of an onboard gyroscope. So Nathaniel did not knock over sleepy chickens he just picked them up and rotated them. I bought a book on chicken coop construction and built a cheap mobile one from some galvanized tin, chicken wire, and 1x1 lumber, staples, and an extra large pallet. The idea was to drag the chickens from one place to another so they would scratch at the ground improving the soil and put down fertilizer with their manure before I moved them to another spot. Chicken manure, also called “litter”, is higher is nitrogen, phosphorous, and potassium that manure from cows or horses. That is one reason so many local farmers here in Virginia buy chicken manure to spread on their pastures. It is cheaper than fertilizer. If it is composted then it adds carbon to the soil. If not then it decomposes in place in what is called “compost sheeting”. Everything was going swimmingly out in the pasture. The chickens were happy in their mobile chicken coop. I installed an electric polywire fence that was also moveable around their hen house. This kept the Labrador retriever out. The chickens did not stay inside since they could all fly, but this did not bother me because they flew up in to the trees where I assumed they would be safe from predators. The chickens no longer trusted my hen house because I constructed it too light. I wanted it to be light enough so that I could easily move it around but it had the density of a lightweight, hobby aircraft. So it did what most airplanes do when the wind blows: it took off. More than once I came home in the afternoon to find my chicken coop upside down with a handful of angry birds standing on top staring at me. I learned to fix that problem by pounding stakes into the ground and attaching a heavy chain. Back inside my kitchen problems were starting to develop. My house sounded like some kind of petting zoo as the chicks went “peep, peep, peep” whenever they were hungry which was pretty much all day long. I filled a plastic tub with oak sawdust shavings of which I had plenty since I had bought a whole dump truck full to make compost for the pasture. Then I set out some watering cans. But the meat birds quickly started growing faster than they laying varieties so I then divided the flock into two. Most Sundays I would go to the grocery store and buy one of those roasting hens that have a thermometer inside. They mainly come from Perdue which has most of their farms east of me on the Eastern Shore of Maryland across the Chesapeake Bay and west of my across the Shenandoah Valley in Harrisburg. But now that I know what I do about meat birds I have pretty much lost appetite for the same. White Rocks hens are bred to grow quickly. But the problem is they grow too quickly often ballooning to a weight for which their legs cannot carry them. The McMurry catalogue advised that the birds should be slaughtered at only a few months before they developed problems walking. To breed them with a deficiency seemed sort of cruel to me. Worse they got to this weight rapidly by eating. One would not say they ate “voraciously” they ate “compulsively” like mad men. Had they been humans they would have been confined to a hospital bed rising only to join one of those hotdog eating contests you see on the news. The laying hens were happy now that I had moved them away from the White Rocks who fairly stepped on them as they clamored for move food. Soon the Rocks learned to hop since flying was not something they would ever be able to do with their heavy weight. They knocked over the watering cans and made quite a noise. I found it hard to talk on the telephone doing my day job. My house was beginning to smell. It was still winter but on sunny days I put them out for a little exercise and to air out my house. I was glad when the icy winds of March gave way to the halcyon days of April and I could move my chicks outside. The laying chicks were still tiny so I put them in my unheated greenhouse to keep them out of the wind. The Rocks were waddling now and quite fat and smelly. I put them into the mobile hen house inside the polywire fence. The problem with the fencing was it was made to contain goats. The mesh was quite small and the fat little Rocks were able to push themselves out a jolt of 4,000 volts of electricity not withstanding. I dreaded walking down to the hen house because the Rocks would come racing out to meet me outside the safety of the electric fence when they thought I was bringing them corn. The dogs would not go outside and the cat had cut a back flip when she first encountered the wire. But outside the fence there was nothing I could do to protect them. My herd of chicks dwindled to only a few and all that remained were a couple of Rocks and the adult birds I had gotten from Pearmund Cellars. So I slaughtered and cooked one of the White Rocks. It was so tough that I could not finish it. This is where I learned what others had told me. The only birds worth eating are those industrially-raised chickens whose feet scarcely touch the ground. So called-free range chickens might be good for eggs but their meat gets too tough if they get any exercise at all. Of course all my birds had muscles from running for their lives. This was no Kobe beef like meat. Most everyone I know here in Rappahannock County has had the same experience with chickens. Too many predators are after them so the only people who successfully keep chickens here pen up their birds. This defeats the whole notion of “free range chickens” since chickens confined to one place are not really living in the wild. So I put my last birds in a small pen but then let them loose because my wife at the time, Gricel (long story), told me it was cruel. I let them all out and the next day found nothing but features. Tomorrow I am going to buy one more doe. This will bring my herd to 11 does and 1 buck from which I plan to grow the herd to 40 animals and sell meat to immigrant buyers. (Gringo’s don’t understand goat meat so why bother trying to explain it to them.) Probably 8 of the does I have now have been bred by the buck and when I buy 1 more this should give me perhaps 10 kids (offspring) born in the spring. It’s difficult to predict the number of offspring this year because the buck has also been breeding with the yearling does which might or might not be able get pregnant and does which have never kidded usually have less offspring that those who have been bred before. Two of the does that I started my herd with have never been bred while three more that I bought from Steve Shippa have kidded before. A young doe or one that has never kidded before will deliver a single kid while a doe which has kidded before can have doubles or even triples. I wouldn’t call them “twins” or “triplets” because it’s not the same as people. I mean there are not going to all have the same freckles or the same propensity for mathematics or ballet. It’s just an ordinal number we are talking about here. 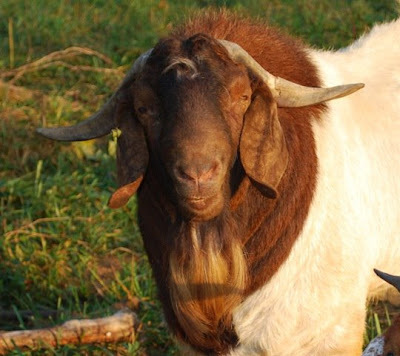 I had read in the goat instruction manuals—it makes sense to call them that since regardless of their title or whether they are books, web sites, or newspapers they all aspire to the same goal---to never turn your back on a buck for sure one is in the “rut”. Now this concept of “rut” has me a little confused. The old joke for humans—to wit, women need a reason to make love and men only need a place--applies to goats as well. Males the two-legged and four-legged kind are as Maureen Dowd says, “as predictable as a pile of wood”. We are ready to fornicate regardless of the calendar. Given that what exactly does the rut mean? The does come into heat ever 21 days so it would make no sense that the male only wants to breed in the fall which is when the rut occurs. There is a reason that deer hunters pile into the woods in November: this is the beginning of the rut. Any motorist can see this as well as the normally aloof and careful deer male looses his tendency to stay hidden from view and bumbles around the countryside crossing highway and byway completely oblivious to oncoming traffic. When he is looking for love he loses all sense of reason and this is when he is most vulnerable to the hunter’s weapons. The same thing happens to men of course. They lose the ability to think clearly when confronted with décolletage, the sight of a woman’s ankle, an hourglass figure, or the mane of her hair. Plato in “Phaedrus” says love is an illness that heightens one’s sensitivity. Otherwise stoic men become silly putty around women when they fall in love. Their pride is easily wounded and they are prone to sulk. So the “rut” must be the season when the otherwise easily aroused male is aroused all the time. Maybe this was what was wrong with my buck one brisk day in November when this otherwise docile creature reared up on his hind legs and showed some aggression. The buck had been quite rough with the females knocking them about as he mated with them and lowing loudly but had never shown aggression toward me. But this day he started to rub his horns on the temporary shelter I had built for them and threatened to knock one side down so I moved in to put it back up and then he turned on me. He came at me with his 260 pound girth and shoved me to the ground as if I was an afterthought. I was still unaware what was happening when confusion turned to fright as he pushed me toward the electric fence. I pulled myself out of there unscathed and pondered what to do as he stood between me and the exit. I don’t think I panicked but I forgot what I had read which is when the bucks starts coming for you grab his beard and hang on tightly. That was sort of difficult to remember as has shoved me around in the dirt. The more I thought about this the more I realized I could have been seriously hurt. Farming can be dangerous. This same week I had gone to the doctor because I thought I had gotten some fertilizer in my eye. The nurse put die in my eye and found no scratches or dust and then cleaned out my eyes. A couple of years ago I almost killed myself when a tree I was cutting down with my chainsaw fell on me, breaking my jaw on both sides, and pinning me to the ground in below freezing weather. When I had my bulldozer a pine tree I pushed over bounced off the roof of the cab. And finally I had quit climbing trees in a deer stand because I could imagine falling and hanging there in the wind, snow, and rain for weeks until someone came looking for me. So I phoned up Steve Shippa who sold me the buck and told him my problem. Steve as I have already written is the one who sold me the buck. I admire him for his dexterity with goats. He showed me how to catch the females by squatting down and stretching your arms out wide thus making yourself look larger. Catching the animals is always a problem when you need to deworm them or give them vaccinations. Goats that you milk are generally tame. But meat goats do not get handled by people each do so they are more skittish. So I paid the neighbor’s kid $10 to help me the last time I did this but he just stood there without a clue what to do as he watched me dive to the ground trying to catch all the goats. Steve knows better what to do. He is sort of a wide fellow anyway. So when he stretches out his arms and squats down how he looks like Barney Rubble as he corners and cows the hapless creature. Animals are rather dumb. So the goal is to just make yourself look like a bigger animal. They don’t realize we are humans with all of our doubts, our fears, and our failings. They just look at us as either one of their herd, a passerby, or possible a threat. This was made clear to one of Steve’s friends when he made the mistake of leaning over and showing his backside to a buck when does I heat were nearby. This fellow was a big man but his buck was even bigger. The buck charged him from behind knocking him to the ground and giving him a concussion. The only bit of luck here was he was farming goats and not some 2,000 pound cow. Every American kid has seen those television cartoon depictions of the nativity scene where the wise men come to the baby Jesus with frankincense and mur (whatever those might be) wearing shepherd’s clothes and carrying a long hook. It turns out this 2,000 year biblical device actually exists. It’s sort of like the ancient basket wine press: elegant in its simplicity there is no need to change its design over the years however primitive. Steve has a goat hook and I am looking to purchase one. You can use it to reach out and snare the goat by the neck. So you corner them with outstretched arms and then snare them by the neck. In other words a six foot tall human gives himself another 6 feet of reach. Quite effective. This is how you catch a goat. So Steve I knew would know what to do about my buck which had turned on me. He said none of his bucks had ever gotten out of hand because he had learned rather quickly to grab them on their smelly beard, jerk their head up, and look them in the eye. Goats, he said, are like dogs where pecking order is important. Either you dominate or you will be dominated. I needed to reestablish dominion over the herd. He told me to get a bucket of water and pour it right into the bucks face as they hate that. This is what I did. I poured two buckets of freezing water into the buck’s face and he backed down. I would say he went running his tail between his legs except the goats tail always sticks up and not down. So this ruse is working and the gently giant has not challenged me since. But I have learned not to turn my back on him. Water works because goats hate water (rain). What is odd is they do not mind snow. One farmer from the Northern Plain states had written that he would look out across his pasture for his goats after a heavy snow and only see little humps on the horizon. He called his goats and up would pop up their heads. Still goats hate rain. Whenever it rains on my farm I can always find my goats in any of the small sheds I have built on the property. The stand together patiently waiting for it to quit raining. That same week I had to confront the other danger on the farm: ticks. I had read in the newspaper that 20% of the ticks here in Rappahannock County were infected with lime disease. Lime disease causes arthritis-like symptoms in people and is a serious illness. A dozen years ago I had the human vaccine but they quit making it I believe because it was either not affective or it gave people the very problem it was designed to prevent. It had never occurred to me that dogs could get lime disease. I spent all my time worrying about my kids when the same week I had fought with the goat my Labrador Retriever Will suddenly went lame. I thought he had broken one leg. He hopped around on three legs and climbed into my bed and lay there no even getting up to eat or drink water. So I took him to the vet and was surprised when he told me the dog had gotten lime disease. He gave me 21 days of antibiotics and some pain medicine. I find it quite remarkable that these bacteria could actually cause an animal to go lame. People I understand have a much harder time getting over this problem.